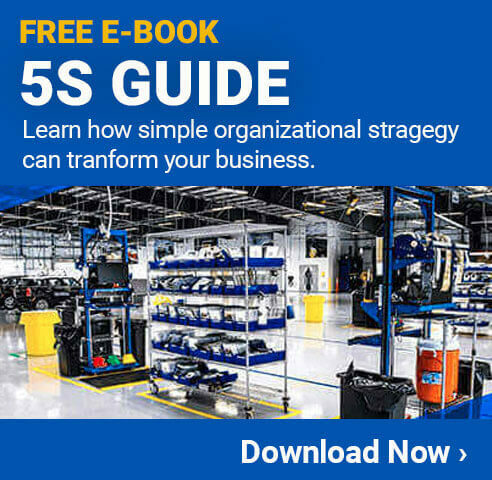 Lean is, without a doubt, a stellar set of strategies and techniques for managing and, more importantly, improving the productions and efficiency of any given workplace. With a number of tools at one’s disposal, a Lean practitioner can, in theory, quickly transform a struggling operation into a well-oiled machine. Also, many of the commonly talked about Lean tools are quite simple to grasp. A recent LinkedIn discussion, however, has taken aim at some of the common issues those associated with Lean run into, noting a major disconnect between the potential and claims of Lean practitioners and their actual skill level and effectiveness. As you can see, Liker has outlined two distinct problem groups within the Lean community. That said, there is some overlap between the two which can most easily be described as an ‘overconfidence’. In both cases, practitioners opt to arbitrarily determine where their own education ends; in one case it’s with regard to learning new methodology and tools, and on the other it’s those whose knowledge is more broad, but remains shallow as they never dig too deep into the things that they do know. Liker, nor those who decided to answer the call to weigh on on the discussion, simply leave us with no idea how to tackle these problems, however. Here are a few of the key takeaways from what was said. The backbone of Lean strategies wasn’t developed with the very beginning of industry itself, it took years to come about, all of which gives validity to the idea that Lean might actually be counter-intuitive to how we naturally want to run businesses, or anything else in our lives. Now, before you get in an uproar, the goals associated with Lean (continuous improvement, waste reduction, etc. ), all make intuitive sense, admittedly, but it’s the way we go about getting there that might not click right away. This is because Lean is all about the systematic analyzing and fixing of problems one step at a time. For something that seeks to make our business run quicker, Lean is a relatively slow process. This creates a bit of a disconnect, and can be one of the main reasons that people find themselves jumping too quickly from one issue to the next (this is most closely associated with the second type of problem – the “implementer” – that Liker describes). Part of moving away from this mindset is accepting the fact that what we learn in Lean and how it will be implemented may be a hurdle to come to terms with from time to time. This is natural but the biggest step toward overcoming it is recognizing it so that you don’t fall into the trap of thinking you know more than you do – the mindset of true Lean Six Sigma masters still lies, partially, in the realm of a student. When we take on complicated, multi-faceted new projects, hobbies, and more in our day to day lives, we understand what we’re up against more easily and that progressing to any impressive level in a given activity is going to be a process of time and consistent practice. Take a game like chess, for example: While some people have more or less of a natural inclination toward the game, most everyone would agree that the key to becoming a great is practicing and practicing, studying and devouring all of the information you can find, etc. You can see the chess grandmasters and know that they’re leagues above you, and the only real difference is the time put in. Another good analogy is any sport you might follow – sure some basketball players might seem like “naturally gifted” shooters, but behind the primetime nothin’-but-net shots every season are thousands of hours of practice, hundreds of thousands of shots made. Lean is the same way, and you have to understand that you will need constant practice to master it – it’s silly to think learning a few techniques is going to instantly place you in the upper echelons of Lean mentors. Unfortunately, as Liker points out, most people figure that once they know the basics of how a system or technique works, they’re as good as they’re going to get, but we know that simply isn’t true. In the Lean world, practice routines or lessons are known as ‘Kata’. Simply put, Kata help you to internalize Lean concepts by making you practice them. Kata doesn’t have to mean contrived, made up scenarios though. In fact, the best way for you to use Kata effectively is to practice Lean by tackling real problems. Pick an area which you feel could use improvement, this improvement should be measurable and, as an example, average throughput isn’t an uncommon improvement goal. For an effective routine, or Kata, first you need to identify the current state you’re at. Be able to measure where you are now so that you have an accurate baseline. Figure out where you want to be. Think of the process as a simply journey between point A and point B, visualize how these two scenarios will look differently. Work your way between the two points, dealing individually with obstacles you encounter along the way. The most important part of your Kata improvement routines will come from getting better and better at being able to spot obstacles that are standing in between your two states of being. Then, you’ll practice coming up with creative and effective solutions for circumventing or eliminating those roadblocks altogether. When working your way through Lean projects, be careful to record specific tasks that furthered your goal and those that just ate up time. A Lean practitioner should not only be about improving efficiency in their company, but also about making sure their own process is streamlined as much as possible. Keeping accurate and specific logs of what you do during your practice sessions can help you to draw from experience in the future when you’re working on another improvement task, saving you time-wasting backtracking. Finally, remember to keep your practice sessions consistent. As a SlideShare presentation attached to the LinkedIn discussion reiterates, practice is most effective when conducted daily, or at least regularly and at short intervals. This ensures maximum retention and that you don’t slide back in your learning. So, all that’s really left to do is to get your daily dose of Kata, keep detailed notes, and never stop learning! Make sure to contact Creative Safety Supply at 1-866-777-1360 for all your 5S tools and safety needs. Lean Efforts – To What Extent Should We Quantify?